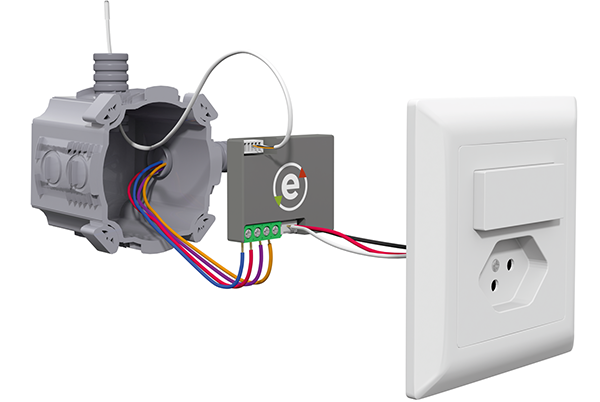 ESMART patented technology requires no extra cabling, circuit board intervention or a bus line, because the products use optimized PLC (power line online) technology that uses existing electrical wiring with no other technical requirements. 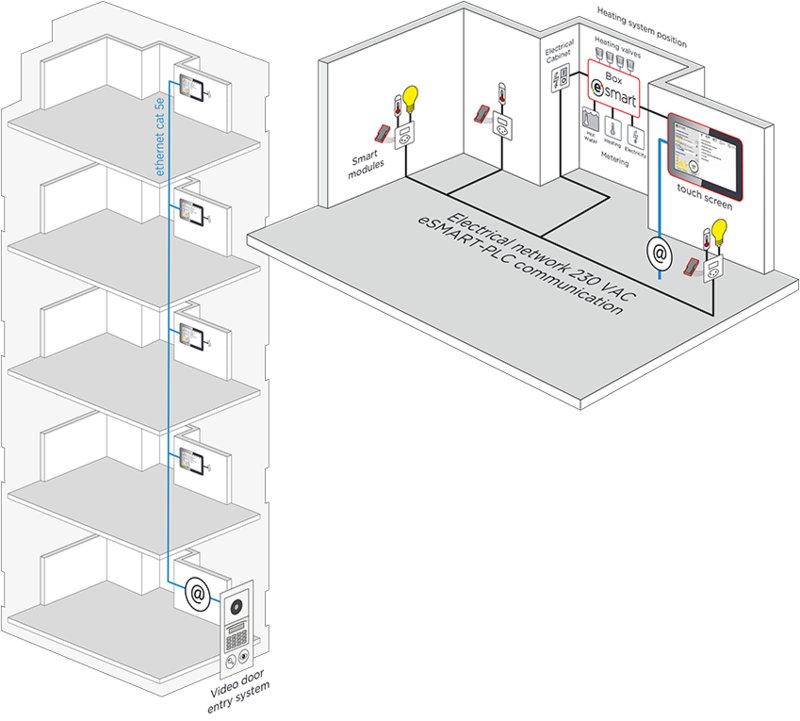 Modules, invisible to the user and connected behind the electrical switches in the switching box, connect each device to the screen control system. A temperature sensor in each room is connected to the module for heating regulation. The system interfaces with freely selected devices in the building. Overall, the eSMART system is highly affordable when one takes into account the standard products it replaces (videophones, regulation of heating and central energy monitoring) and the reduced labour costs required for its installation.